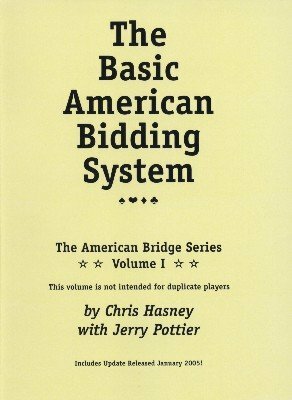 Volume I, The Basic American Bidding System, was written for beginners and for social players who need to brush-up on basic bidding skills prior to tackling modern bidding methods. It features 5-card major suit opening bids, strong twos, and some basics of Forcing and Non-Forcing Stayman, Blackwood, Gerber, and few other things designed to form the framework for further study. 1st edition 1998; 214 pages.